2.5 weeks cycling through Peru and Bolivia – it was planned to be a holiday, but turned out to be hard as nails, high altitude training camp! A little bit of running and a Vo2 max test. 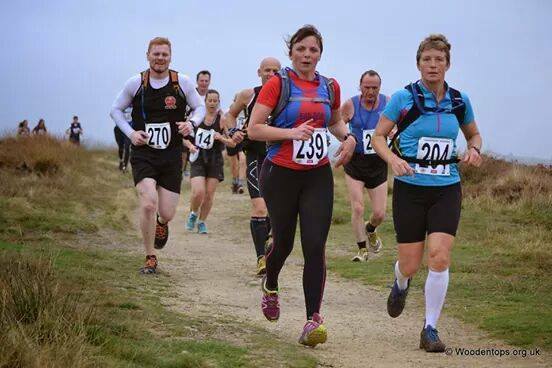 Last week – a good 4 run week with 38 miles of running, including the Good Shepherd fell race on my birthday. In between the runs I am back into 2 days of cycling to work and a quick ride at the weekends. 2kg weight loss on holiday (tough cycling + poor food) means I am going in the right direction to MDS weight. After a few summer colds, cycling every day at altitude seems to have been the cure! Peru was stunning, yet poor and baron. Cycling up mountain passes to 4300+m then descending into the jungle at 1500m was like visiting two different worlds in the same day. Women in traditional dress were in fields everywhere tending to their animals, grazing them on ropes, trying to find the next tuft of grass in the dry dusty ground. Machu Pichu exceeded all my expectations. Pictures and television do not show you the sheer size of it and the incredible Inca workmanship. It is a strange sensation to walk on the floating reed islands in lake Titikaka, mixing with the locals, who welcomed us into their homes (actually they led me in by the hand!) and then afterwards tried to sell us tourist tat! Bolivia was different again – just as poor – but much more corrupt and bribes seemed to be required as standard. La Paz was a crazy, highly populated city spanning a bowl amongst the mountains. Cycling the road of death, descending into the jungle again was amazing, finished off by staying in a beautiful hotel, followed by a zip wire ride in the jungle the next morning. We shared the whole experience with good friends, old and new. It could not have been a better bunch of people, through the tough times (of which there were many!) and the fun, which were plentiful too. The mental toughness was put to the test most days. We arrived home safe (albeit no bags or bikes for a few days) and then tipped up to Glasshouses to stay at Harewell cottage as a test run for our friends opening a new holiday cottage. It was lovely to relax and a luxury place to stay! I managed a little run, with a big climb and the running legs did well, despite laboured breathing which I did not expect! Then followed an unusually busy week, including a heart MRI and a VO2 max test, as a participant in a research study. A healthy, trained heart and a Vo2 max of 50.9 were reported. Really fascinating to see my heart working and the first time I’ve done a Vo2 max and I was pleased that I managed to take my work load higher than my usually very steady pace. The Yorkshireman marathon was a top day out. Perfect weather, good company and Yorkshire moors. My legs did me proud till 20 miles, then the cycling legs fell out with running and my hip muscles smarted to say the least. With encouragement and company of my MDS buddy Fiona, we eventually made it back for soup and cake. Very stiff legs followed…. Tuesday 4 ish miles (trail). Happy hips again. Happy running and birthday cake. The fell miles consisted the Good Shepherd fell race, with MDS buddy, John. This involved two assents to Stoodley Pike and some good scrambling through tussocks and steep moorland. I’m not a good fell runner, but I love it. It’s like being a kid again, exploring where there are no paths. Today has been a spectator sport day, watching the three peaks cyclocross race. It was a pleasure to be making the most of the Yorkshire dales in the sunshine. The legs and body feel good and I am excited about the training weeks ahead. How do you train for that? I thought, rather than writing about whether or not I think I might be mad, I thought it might be more interesting to write about how I propose to train for this race. Over the last couple of years I have met a few people who have done the Marathon des Sables (MDS) before, and I asked them the same question (knowing that I really wanted to do the event and stocking up on tips early!). More recently I have read a number of books: Running from the Shadows – Mark Roe; Highway to Hell – Grahame Harvey; Survival of the Fittest – Mike Stroud. A year or so ago I was lucky enough to hear Mike Stroud speak at the University of Leeds as part of a seminar series on physiology in extreme conditions. He is a fascinating man and captivating speaker. I made lots of notes. Last week I attended a Webinar provided by Simon Ward and Rory Coleman. Simon Ward has been 220 Triathlon Coach of the year a number of times. He completed MDS in 2001, but mostly completes in Ironman triathlons. He is also a good friend of mine, who is going to complete MDS in 2015. Rory Coleman is an ultradistance marathon runner and coach. He has completed MDS 11 times and coached scores of athletes to a successful completion of MDS. This webinar was excellent and really helped me to put my MDS thoughts in order and start with a plan. Over the last few years I have competed in various triathlons from sprint distance to half iron distance. I have completed many one day and multi day cycle endurance events. I have successfully raced in cycing time trials and mountain bike races. I have run consistently for a few years. In the last couple of years I have run mostly off road, and on the fells. I have twice completed the Yorkshire 3 peaks fell race. In May this year I put it all together and raced City to Summit – an Iron distance triathlon with a mountain at the end! I know that I have endurance. I have learnt that I need to respect rest and recovery. I know that I need to spend more time on strength and conditioning. Since the City to Summit race I have struggled to train consistently. Through July I had a number of bouts of cold/flu. In August I have got back into riding my bike and a few good runs. I weigh 70 kg and am 27% body fat. That is a size 10/12. I am 5ft7 – 169cm. While this weight is in the healthy range, it is heavier than I’d like to be for MDS. This will be a 13 week period where I build back up to training 8-12 hours a week (as I was until the end of May this year). This will start with riding my bike most days, with a few runs and swims. I will then build on the running so that I am running 3 times a week, up to 30 miles in total. I’ll maintain some cycling and swimming. Some weeks I will include a long walk with a back pack. I will also find some local sand to run in when I can. During this phase I will run a couple of marathons and culminate in three back to back marathons. Every three weeks I will have a recovery week with reduced training volume – especially the run volume. I will start with regular gym sessions. I will aim to lose 5 kg. This will be a slightly shorter 10 week phase and will incorporate some high training volume over Christmas and New year. My runs will be off road wherever possible, testing out my new head torch on the local trails. I aim for consistency and will try and maintain some cycling and swimming, because I enjoy them and also to help reduce injury risk and for cross training strength benefits. In January I will increase the number of sessions where I train with a pack. I will also gradually increase pack weight. I will be sure to build stretches of walking briskly into my run sessions. Running and walking use different muscles and I don’t want the walking muscles to get a shock when I get to the desert! Another 10 week phase. I will hopefully have all my race kit by now and will be able to use it in training. I will fine tuning my nutrition requirements for the race. The last two weeks before I leave for MDS I will undergo some acclimatisation training in the environment suite heat room at the University of Leeds. So that is the plan! I’ll keep you updated with how it goes!